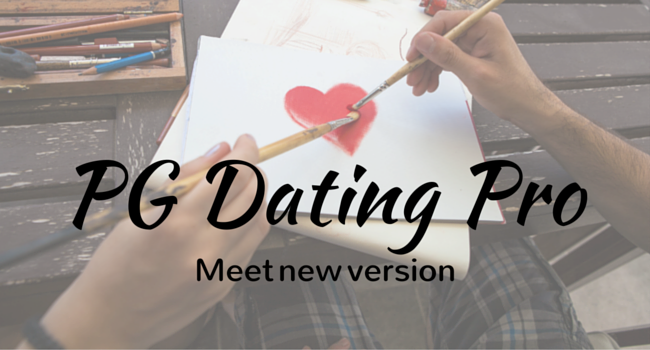 We are glad to announce the new release of our dating site builder – Dating Pro Elfin (2015.5). Dating Pro Elfin includes a set of new features that will help the site owners provide a fun experience to their site members. Besides, some of the features can be used as an extra means to earn money with the site. ✓ Gift store add-on will let the dating site owner sell their own branded merchandise or cooperate with third parties such as flower delivery and jewellery shops, etc. ✓ Kisses add-on is part of the product package. It lets site members exchange smileys and short messages. ✓ Favourites module lets people add other site members into the list of favourites. No confirmation is required. It is possible to view who added you to their list of favourites. Access to this section (who added me) could be made limited and only available to premium users or as part of a paid service, what do you think? ✓ View profile permissions for guests: now site administrator can decide whether to allow guest visitors (=non-authorized members) to view members’ profiles and how many of them before one is prompted to log in or create a profile on the site. ✓ Site administrator can activate a feature that will show collecting cookies warning at the bottom of the site pages. The text of the warning is editable. ✓ Aviary integration – this service offers multiple photo editor tools that will appear in member’s personal gallery. API key will be required to activate the service. The highlights of the new Dating Pro version also include SEO module update, new translation (German), info pages support of multiple languages, improvements in the photos and albums management and moderation, both in the user mode and in the admin panel. The sign-up form has been simplified to ease the registration process. Location field will autocomplete the location entry making it convenient for the site members and ensuring correct spelling. The PG Dating Pro team will soon launch the Dating Pro Network – an association of dating websites that will let dating site owners tap into the pool of active users and at the same time retain full control over their site payments and their own site users. An announcement will be made accordingly. Follow our news and feel free to contact us if you have any questions or new ideas.